Stress can cause physical changes to the body, including tense muscles, sweating and a pounding heart, according to the NHS. Symptoms of stress can include feeling overwhelmed, wound up, and constantly worrying. You may also develop headaches, dizziness, muscle pain, and extreme fatigue. But, adding these herbs to your diet could reduce stress, a nutritionist has claimed. Basil is perfect to beat the blues, said nutritionist Rick Hay, who is an advocate of Dr.Dünner - a Swiss range of products that uniquely blend these types of super herb. “It combats stress and brightens your day, because it has a mood-enhancing effect,” he said. “Abhwagandha is brilliant as a nervous system soother,” said Hay. “It takes the edge off, if you’re feeling overworked, feeling down or feeling gloomy. Rhodiola is particularly good at keeping people calm, the nutritionist said. It helps by preventing tiredness - a sign of stress. “Passion flower is like a gentle herbal hug for when you’re feeling frazzled. 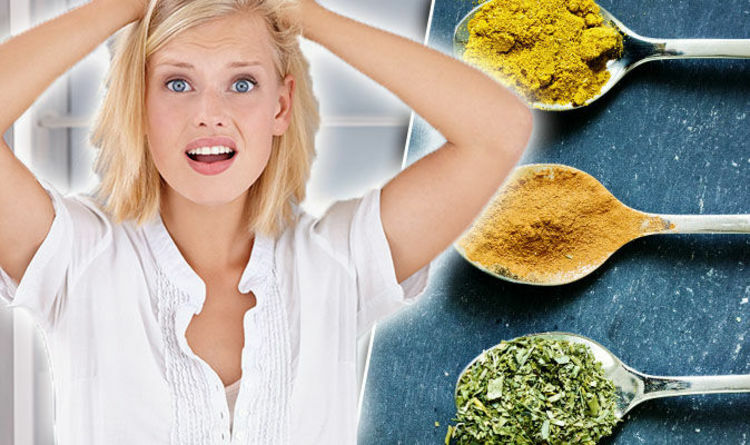 The best way to get rid of stress is to take the herbs with vital vitamins and minerals. That includes zinc, copper, vitamin B and biotin, Hay said. Combined, the vitamins boost boost cognitive function, keeping you feeling good and supporting your nervous system. The herbs could be added to your dinner, and used to cook with, or could be taken as dietary supplements.